The Democratic nominee for governor in Colorado "pushed back hard" on a local television news report set to make a detailed examination of the candidate’s personal finances, especially as it pertains to statements he has made about transparency, and how great a decision-making role he might have had in some of his investments while serving in congress. Rep. Jared Polis became a multimillionaire before his thirties, and has used his personal fortune to finance every run for political office he has made, including the current gubernatorial run. In this race, campaign finance reports from mid-September showed he had donated more than $18 million to his campaign. An analysis of his personal finances via congressional financial disclosures estimates he doubled his wealth during his tenure. 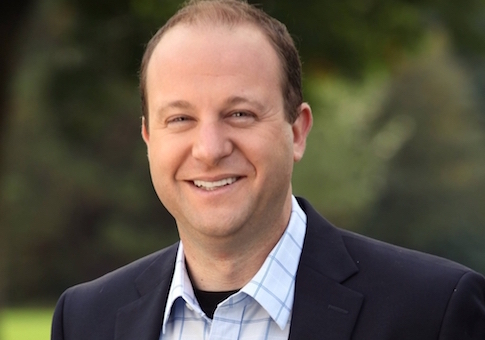 Because Polis has claimed that self-funding frees him from outside influences, CBS4 reporter Shaun Boyd interviewed him with an eye towards how the decisions he could face during a possible governorship could impact his numerous investments and holdings, and how conflicts of interest might be dealt with. In 2012 for example, conservative author Peter Schweizer criticized Polis for having a conflict of interest because of his founding and continued investment in a company called BridgeHealth, which at the time worked in a niche called medical tourism. Medical tourism essentially tries to connect patients with cheaper treatment options which have been vetted for safety, but which are usually overseas or are outside of the patient’s home country. Schweizer alleged medical tourism would be boosted by the implementation of the Affordable Care Act, arguing more American patients would seek out overseas care. Despite Polis casting an initial vote against the ACA in a committee, he voted for the bill in its final form. Polis hit back against Schweizer's assertions in an op-ed in the Denver Post, in which he said, "when I was first elected in 2008, I decided to set up a blind trust to avoid even the appearance of impropriety, a step few members take and that is not required." Boyd's report, however, said "neither [Polis] nor his campaign will talk about what percentage of his overall net worth is in the trust today." "Despite promises of transparency, Polis's campaign pushed back hard on this story for several weeks and wouldn’t provide documentation regarding the blind trust," the report added. Polis additionally told Boyd that he could not have put all of his assets in the blind trust because of rules and restrictions set by the House Ethics Committee, but Boyd further noted, "his campaign also wouldn't share any communication with the committee." In the video report, Boyd says Polis was an investor in BridgeHealth, "which advertises medical tourism, an industry that benefitted from the Affordable Care Act." "You know, I have no operational role, and no—you know, so I—until you told me that, I wouldn't know it," Polis then said. Congressional financial disclosures show Polis has continued to invest in BridgeHealth, often times by making convertible loans to the company. Convertible loans are a financing tool which begins as a loan, but can later be converted to equity shares in the company if certain milestones or other conditions are reached. A representative for BridgeHealth told the Free Beacon recently that the company no longer operates in the medical tourism niche. Polis also insisted he has been a passive investor since being elected to Congress. "But his own financial disclosure shows he is a managing member, partner, limited partner or director for 26 different limited liability companies that hold multi-million dollar funds and real estate investments," the report said. "His campaign acknowledges he has managing or decision-making control in the companies where he is a managing member." Polis also told Boyd that, if elected, he would ask a legal team to reassess his financial holdings to see if more of his holdings could be moved to a blind trust. Boyd provided a similar report scrutinizing the finances of the Republican nominee for governor, State Treasurer Walker Stapleton. The Polis campaign did not return a request for comment from the Washington Free Beacon. This entry was posted in Politics and tagged Colorado, Jared Polis. Bookmark the permalink.